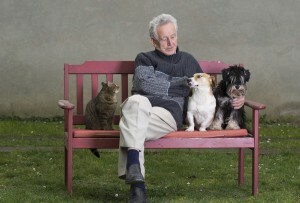 Having a long life with your pet is important to you. Like all great pet parents, you are always feeding your dog or cat high-quality food, giving your pet supplements to stave off future problems, and making sure your pet has enough exercise to live a long and happy life. However, the truth is, the average life expectancy of a pet is about 10-14 years. While that may not seem like a very long time, it’s roughly 53-69 years old in dog years, and 56-72 years old in cat years. However, there are a few dogs and cats that don’t really fit into that average range. In fact, did you know that one of the oldest living cats was 35 years old? Therefore, as you can see, there are special pets that can really break that life expectancy mold. If you are considering a new pet, life expectancy may be something you want to consider when choosing your pet’s breed. If you have small children in the house, you may want to make sure your pet will provide your child with years of fun and playtime. With that being said, here are a few cat and dog breeds that have been known to live the longest.